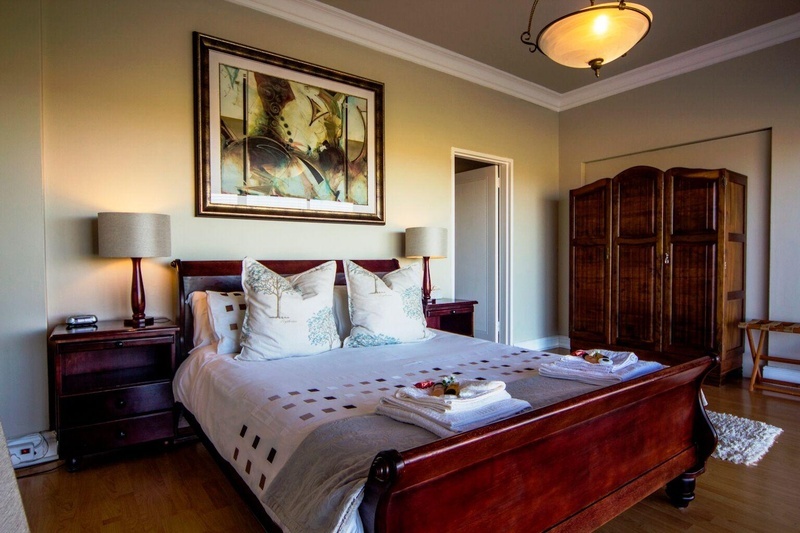 In a city where hotels and accommodation offerings can charge exorbitant rates, Casa Mia Guest House in Bloubergstrand, northwest of Cape Town, is a great deal. 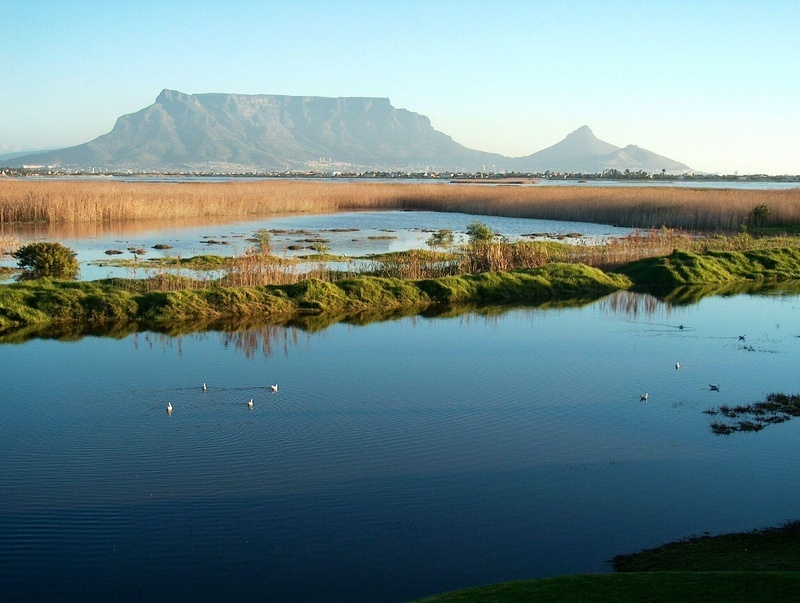 Casa Mia is situated on the border of the Rietvlei Nature Reserve, with superb uninterrupted views of Table Mountain and Robben Island in the distance and the white sandy beaches of the blue Atlantic within minutes. This Tuscan-styled guest house adds its own distinct personality to the Cape Town accommodation market. Its yellow-brown walls and arched doorways that open to a beautiful courtyard are unmissable. 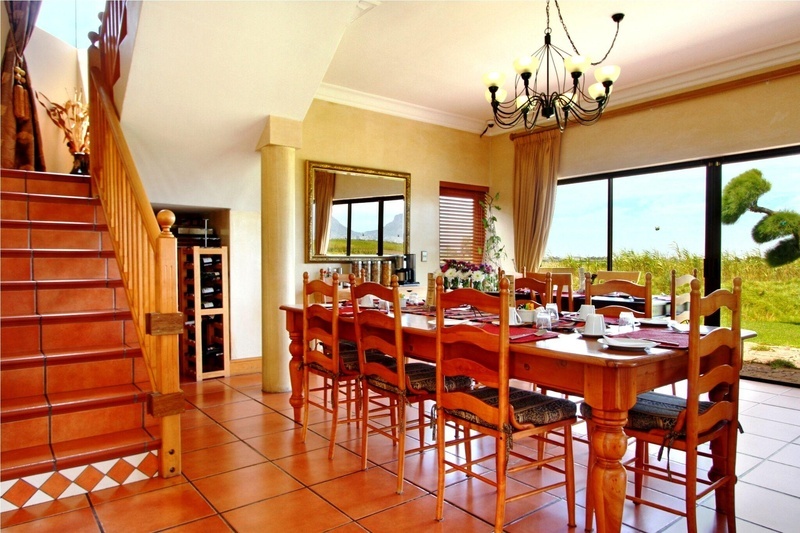 Casa Mia is located only 20 minutes away from the Victoria and Alfred Waterfront. It is just 3km to the beach at Bloubergstrand, where kite surfers have learnt to harness the epic winds of the Atlantic. It is actually a bed and breakfast offering with the exception of those staying in their Presidential Suite. The establishment was built with the idea of meeting the needs of business travellers and offering a peaceful retreat for romantics and holidaymakers. 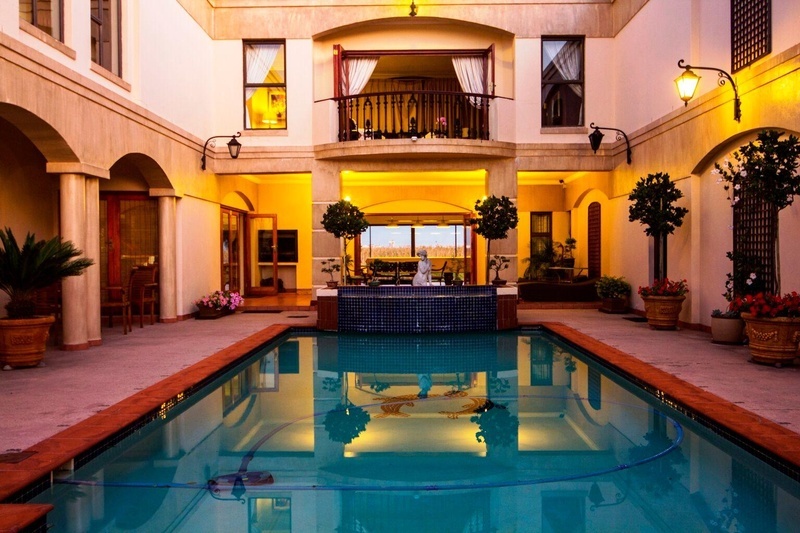 “After being in the business for 25 years, we mastered the balance of satisfying the needs of our guests; many became returning friends,” says Kirstein Combrink, Manager at Casa Mia Guest House. If you wish to wake up to an unspoilt view of the nature reserve and Table Mountain in the distance, then the luxurious Presidential Suite is for you. Every endeavour has been made to make your stay in this suite, which is on the first floor, as pleasant as possible. While it accommodates two people, it features an enormous glass front with sliding doors opening onto a balcony facing the extensive Wetlands with Table Mountain forming the backdrop. Amenities include a King Sized bed with clean linen, air-conditioning, ceiling or pedestal fans, a full bathroom with bath and shower. There is also a dressing room, a mini bar-fridge, a table with two chairs, a hair dryer, two arm and Ottoman chairs. A flat screen TV with DStv ensures that your do not miss your important soapies, news and sports. Because Cape Town is also a popular family holiday destination, your hosts at Casa Mia have also made available a comfortable base for those travelling with kids. The Executive Family Suite is a large 70 square meter apartment with a main bedroom and full bathroom. Also situated on the first floor, this suite features a separate open plan lounge, kitchenette and dining area. In addition, there is a dedicated nook with a double bunk bed making it ideal for a family with two children under 12. Amenities include and extra length Queen-size bed; double Bunk-Bed in Nook inside the bedroom, air-conditioning, wall panel heaters, ceiling/pedestal fans, bathroom with bath and shower over bath, TV with DStv, a fridge/freezer with soft drinks, a kitchenette with utensils, a table with four chairs among other amenities. Aside from the Executive Family Suite, there are two Executive Suites. Chiante is on the upper level with stairs while Galito is on the ground floor. The two are also large 70 square meter apartments, each with a main bedroom and full bathroom with shower over the bath. They also come with a separate open plan lounge, kitchenette and dining area. Besides having the same amenities as in the Executive Family Suite, the Chiante Suite has an extra length Queen-size bed while the Galito Suite comes with either a King-size bed or two extra length single beds. An extra Single Bed can be provided in the lounge on request for families or groups. It is good to note that Casa Mia also caters for those travelling on a budget. They have two Standard Suites, which are like open plan hotels. Found on the guest house’s ground floor, the Pomino and Tignarello suites offer about 38 square meters of living space. They are practical, well-furnished and come with their own en-suite bathroom with showers, a dining area and kitchenette inside the room. A Queen – or double-sized sleigh bed completes the suite. The establishment’s Honesty Bar is a great place to be to end an eventful day. They offer a variety of drinks including good quality red and white wines, soft drinks, beers and ciders. If you feel like unwinding, have a go at snooker or billiards on the full size table. Although your car is parked in a dedicated off-street area, your hosts have gone the extra mile and installed security cameras and external perimeter security beams. Safes are available in the rooms for valuables or cash. Because nobody goes on holiday to do their own laundry, Casa Mia offers a ‘same day’ laundry service if handed in at breakfast (before 09:00). This, however, excludes weekend and public holidays. Free Wi-Fi is available throughout the guest house. A baby cot and beach towels are provided at the reception. Casa Mia Guest House serves breakfast only – and they have made sure it’s a scrumptious breakfast that will set you up for the day ahead! On offer are a la carte breakfasts ranging from a full South African Breakfast to Omelets and French toast. All our breakfasts are freshly prepared each morning while you enjoy your cereals, fresh fruit and yoghurt. They also serve Halaal, Kosher or Vegetarian breakfasts upon request when booking is made. While Casa Mia does not serve dinner, there are a number of fine restaurants close by. 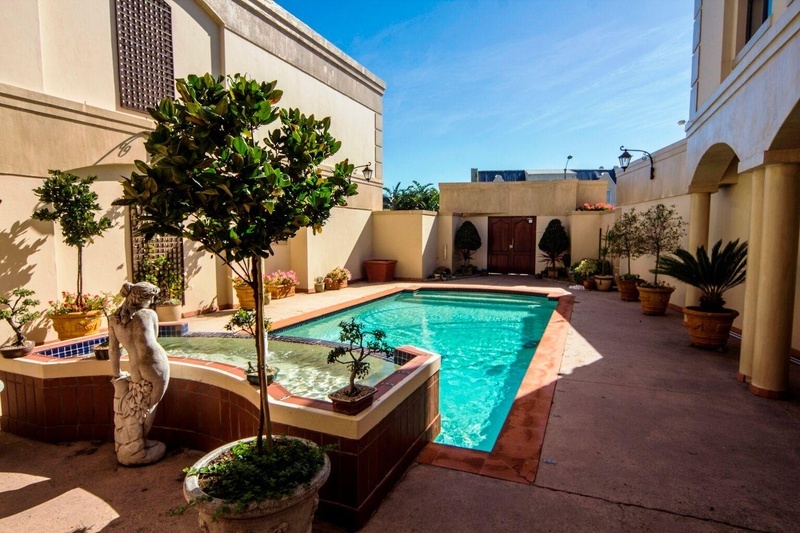 “I visited here Cape Town on business in late January, and a colleague recommended Casa Mia. It was a good choice. From first arriving to the final day, the hosts were friendly and hospitable, the room was ideal with a good view of the mountain, and all the usual necessities were provided,” a guest wrote. “My accommodation was palatial and luxurious. On top of that, I had the most stunning view of Table Mountain. The hosts were wonderful. The breakfast exceeded my expectations. Casa Mia is my new stay of choice,” wrote another. “Simply astonishing! I have been travel to Cape Town now for more than a year and visit the Mother city every 4-6 weeks. I have stayed in many place that is very well rated, but Casa Mia just blew my mind, over and above my few favourites that I have,” wrote another guest. Location – easy access to Cape Town and all that the Mother City and its surrounds has to offer. Service Excellence – previous guests particularly pointed out how wonderful their hosts were. Pricing – great value for money for business travellers, romantics, families and groups hoping to make the most of their Cape Town holidays. Secure environment – the owners of Casa Mia have gone an extra mile to ensure you are safe while staying with them. For bookings at Casa Mia Guest House, click HERE or call 021 557 4674 / 021 556 3291 or email book@casa-mia.co.za today.